PROBLEMATIC ISSUE : The Udeskole model is it relevant in terms of ESDD ? Emanating from a Norwegian tradition, udeskole has spread to other countries in the northern part of Western Europe. It is a distinct category of outdoor education, held regularly, 1 day a week led by the schoolteacher herself and not outdoor professionals and with a strong curricular content. Thus, the traditional outdoor learning focus shifted “from environmental, personal, social and health perspectives toward curricular perspectives” 1950: Birth of the model in Denmark with the " Forest Kindergartens" created by Ella Flautau 1957: Sweden "Skogsmulle" by Goesta Frohm 2005: Britain with "Wildflowers Kindergarten" by Helena Nilsson 2007: Canada with "Carp Ridge Preschool "by Marlene Power In Denmark, since 1975, the environmental education is integrated in all teaching disciplines thanks to the the Basic Education Act. In 1976, the environmental education is introduced in the biology courses. It was after the 1984 conference that environmental education is finally entered an official framework. Denmark has a long tradition of school decentralization (that can explain that this concept arrived in this country) Women worked and could'nt keep their children at home. So the school were overload wich explains why the outdoor school is the solution to accommodate more students. 2) How it works ? Goals, Typical day, Type of pedagogy, learning method: Udeskole targets children aged 7-16, and is characterized by compulsory educational activities outside of school on a regular basis, e.g. one day weekly or fortnightly. Udeskole activities are characterised by making use of the local environment when teaching specific subjects and curriculum areas by, for example, measuring and calculating the volume of trees in mathematics, writing poems in and about nature when teaching languages or visiting historically significant places or buildings in history education. - Children learn how to take risks which are safe, how to be sensible and how to make informed decisions. - Social interactions are vital in this activity: Forest School improves an individual’s ability to work co-operatively and increases their awareness of others. - Students’ cognitive abilities are better developed outside: 2006 in California, students from 11 schools scored higher than students of traditional systems in 72% of assessments in everything. - Less stress “the happy hormone": when we hearing sounds of nature for example. - Improved memory: fresh stimuli for the senses that have an amazing power to the brain. - The importance of learning through play: helps children “to be led forward actively in their learning…extending and broadening their learning"
- Forest School counters a lack of motivation and negative attitude towards learning. 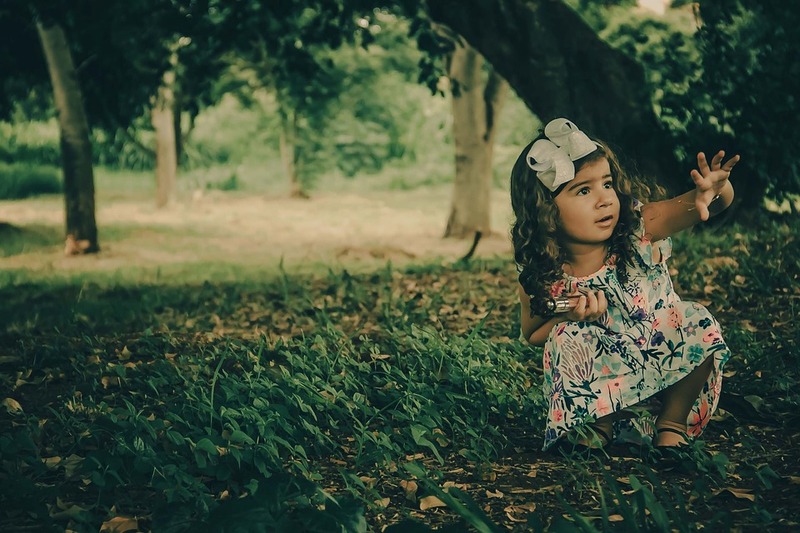 - Children are more likely to get ticks and insect stings, and there is inevitably a higher occurrence of small injuries such as scratches and splinters. - This system may not be suitable for all children. - According to him, he lacks learning through play, because “it may threaten adults’ control, disrupt their choices, challenge their values or provoke concerns about risks and hazards”. Teachers and practitioners openly admit they find it hard not to interfere. - There is a commercialization of Forest School system with a amplification of the benefits. For example he advises teachers to exercise caution when judging students' self-esteem: children’s self-esteem is being measured using adult observations --> studies are not always very reliable and accurate. - The author is afraid because there is a rise in the commercialization of Forest School by commercial organizations that can market and sell this system. At the expense (=au détriment de?) of the pedagogical and educational aspect. - The commodification of the Forest School experience, utilising lower skilled practitioners who deliver a range of Forest School activities in a standardised performance, with less developed conceptions of play, may be unaware of the impact of the cultural context in which they practice. Margaux goes several times a week to an Outdoor School in Norway. For her, this educational system is not so great and innovative as we think. Indeed, children only go outside two hours per week. They are completely on their own, bored and worse, with their smartphone! Unfortunately, there are no real learning objectives, activities, or games. The teachers supervise but offer nothing. These days lack pedagogy and interest. But this school uses the marketing argument that the Outdoor School are better and have more advantages. On the other hand most children are very rowdy and do not listen very much. The testimony of Margaux was really very precious! We know that this is not the case everywhere and fortunately. But she has "broken a myth". "Giving pupils the freedom to make decisions about their own learning is incredibly empowering for children. Not every child will be motivated by the promise of getting their hands dirty, so it’s vital they are given a choice. The teacher therefore needs to take a back seat from initiating and directing the lesson and place trust in the student to lead instead." She insists outdoor learning has become more than just a project for the school, “it’s a way of life” she explains. The whole ethos of the school is to be outdoors as much as possible, rain or shine, so that students of all ages also take part in forest school activities in a wooded area alongside the playing field two days a week, learning skills such as fire lighting and making charcoal, as well as being allowed to climb trees, all under supervision. Opinion of parents and children, the futur of children, more environmentally conscious? Is it difficult return to a classical school for the child? Founded in 1941, The Outward Bound Trust is an educational charity that organizes outdoor learning programs at British sites (Residences: Eskdale in the Lake District and Aberdovey in the Snowdonia) Before coming to this school, Arthur Terry (passing his graduation this year) was noisy, immature and intolerant of others and he had very heterogeneous relationships with my teachers. By participating in the stays of various residences including canoe kayak, walking or climbing, Arthur began to learn to work with new people and become more tolerant. This significantly changed his mindset and gave him a new approach to challenging tasks and teamwork. "We attribute four major changes at James to his Outward Bound experiences. Now he is ready to take on any challenge, he is more confident and he has a sense of maturity which, above all, allowed him to take a structured approach to his GCSEs, "his father explained. 3) And others controversial school? Forest School is an inspirational process, that offers ALL learners regular opportunities to achieve and develop confidence and self-esteem through hands-on learning experiences in a woodland or natural environment with trees. Forest School is a specialised learning approach that sits within and compliments the wider context of outdoor and woodland education. The ethos is shared by thousands of trained practitioners across the UK and beyond. Its roots reach back to early years pioneers in outdoor learning and across the sea to Scandinavia. "Listen deeply to the Earth, its stories ... and ask her questions." Wolf School is located in British Columbia, Canada. 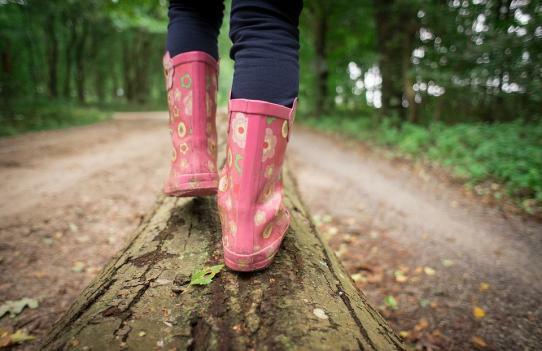 The children explore three days a week, all year long, whatever the weather, the deep connection to nature, to others and to themselves. The rest of the week, they study classical subjects. Old model but oh so innovative for us, it meets the need for a deep connection, essential to our balance. It's reminds us that everything is connected, that true joy lies in realizing one's potential, serving one's community and nature. Some questions : This scholar model is it more relevant than the classic french? Why people think Scandinavia is the best model of education? Scandinavia is known for its high school success rate thanks to an innovative educational system. That's why for many years, it has been copied, but never equaled. This educational system, born in the 50's with the "Kindergarten" was created by Ella Flautau. In Denmark it's called "Udeskole": in these schools children are outside even if it's raining or snowing, 1 to 2 days a week in addition to their courses in class. Many testimonials from students, parents and teachers show us the advantages of these outdoors' times. Indeed, we notice an improvement in the children's skills, their self-confidence and a reinforcement of the links between them and towards Nature. The subjects taught and the learning objectives (mastery of the alphabet, mathematics ...) are the same as in a classical school but the approach is different: the use of external natural elements, the importance of games, the autonomy and the rhythm of each child. However, knowing those different advantages, can we really say that this type of education have a real impact on the environmental awareness for these children compare to a conventional education system?